This map shows territory of Russia. free map of Podgornoye for Garmin. interesting map of Zelenen'kiy 1 cm to 1 km for Garmin. topographic map of Udarnyy calibrated for gps. interesting map of Trudovoy 1 cm to 1 km free download. actual map of Svetlyanka for you. 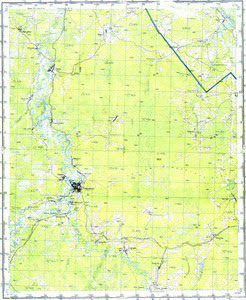 map of Sugot и OziExplorer calibration displayed. topographic map of Sbornyy и OziExplorer calibration presented. actual map of Ryamovoye displayed. actual map of Poskoyevo for you. actual map of Nizhnyaya Svetlyanka for Garmin. free map of Narymskiy 1 cm to 1 km for Garmin. actual map of Mineyevka download for free. actual map of Mayga with gps calibration displayed. interesting map of Makar'yevka 1 cm to 1 km presented. map of Kuznechnyy with gps calibration this. actual map of Krayniy with gps calibration presented. detailed map of Kozotyapka 1 cm to 1 km download for free.